After our little rendezvous at the Tenryuji Shrine and the bamboo groves, our next stop was across the river to the Iwatayama Monkey Park. However, on the way, we had to cross the famous Togetsukyo Bridge. This place is very popular during the cherry blossom, or sakura （さくら）season. It was also used for filming Japanese movies back in the day. Quite the tourist spot, the restaurants here attract quite a number of visitors. You can charter a boat, I believe a saipan, to go up and down the river. 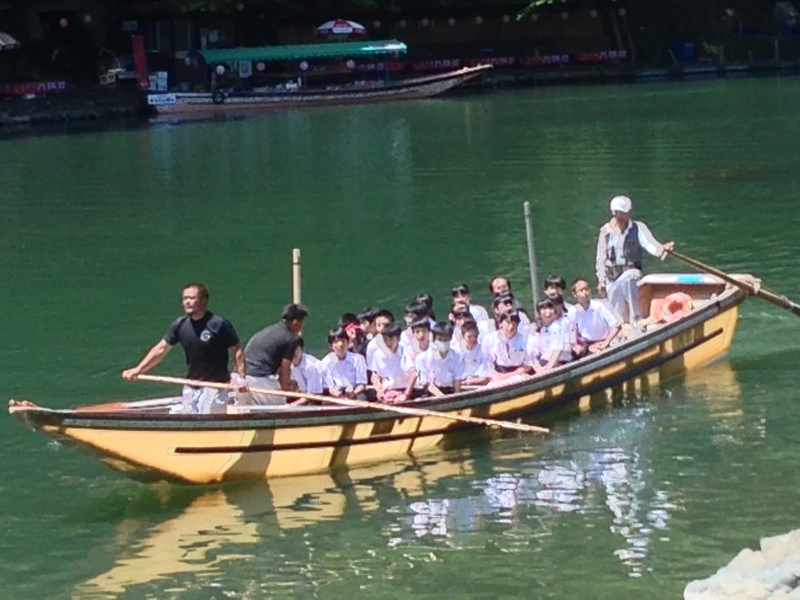 One interesting thing I noted was the there were quite a number of Japanese school children out and about. Keep in mind, this was a Saturday afternoon. At first I was confused, but I believe that school field trips in Japan are held on the weekends. This would probably never happen in the United States, but it might be a good thing to consider given our poor level of education comparatively to the rest of the world. 27 Jun	This entry was published on June 27, 2014 at 23:13. It’s filed under Asia, Japan, The Traveller and tagged Arashiyama, Japan, Togetsukyo Bridge, travel, travelling. Bookmark the permalink. Follow any comments here with the RSS feed for this post.